Our pals at Elegant Themes are ready for a WordPress Giveaway with Web3Canvas In related to their Launch of New WordPress Theme Divi. 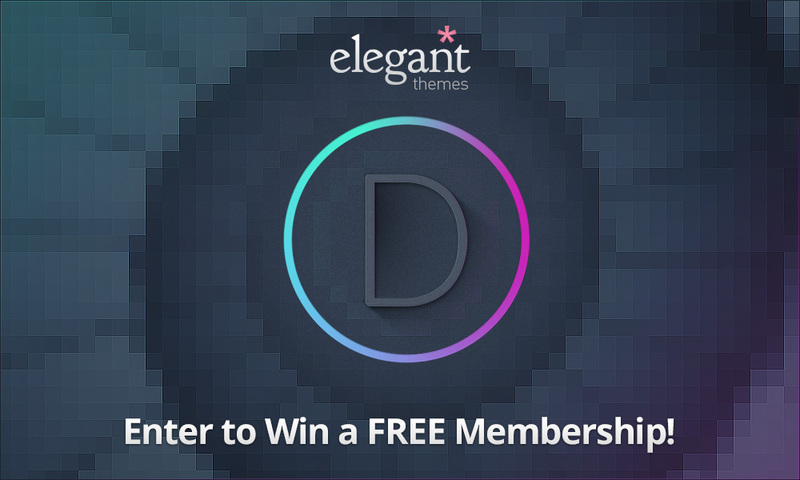 One Lucky winner will get a Free Membership to Elegant Themes and will include New DIvi Theme on the Launch Day. Elegant Themes built Beautiful Premium WordPress Themes coupled with advanced functionality and awesome support. They have over 85+ themes and 210000+ customers. Their goal is to create the best WordPress Themes with a pixel-perfect eye for detail and a high standard for aesthetic excellence. Page Templates and Theme Options give you full control over your website. Manage your site like never before by using the countless powerful features that come packaged with all themes. Browse All themes of Elegant Themes. Good Luck and Merry Christmas to all.